Flood Water– Don’t Panic – Call Texas Disaster Restoration immediately. Time is not on you side – act quickly to prevent water damage. Do not try to clean up standing water yourself with a vacuum cleaner! Do not use electrical appliances or electrical equipment in flooded i.e. wet flooring or carpets. Do not put you or your loved ones in jeopardy by going into a room that is flooded with electricity on. Do not try to remove carpeting on your own this will shrinkage causing damage. Do not store damp items in plastic bags — this will cause mold to grow. Shut off the water ASAP to prevent any further safety hazards i.e., electrical shock and personal injury from slips and falls. Quickly remove if you can furniture out of flooded areas. Open windows, doors, drawers, cupboards and closets to allow for air circulation and start drying wet and damp areas. 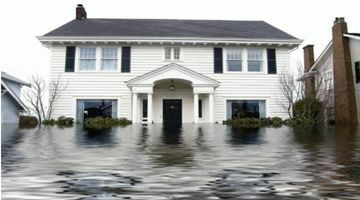 Turn on air conditioning if flooding occurs in summer. Turn on heater if flooding occurs in winter.